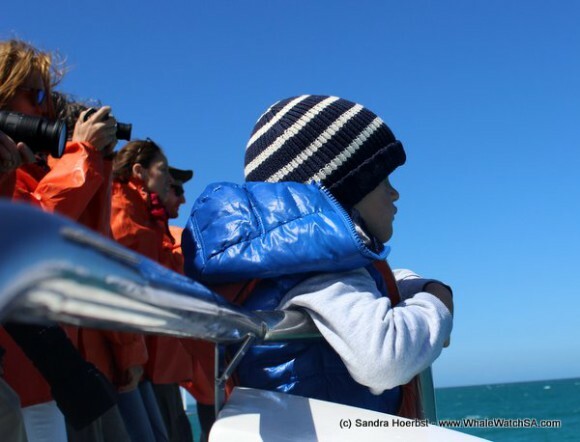 The sun was shining for us again today. 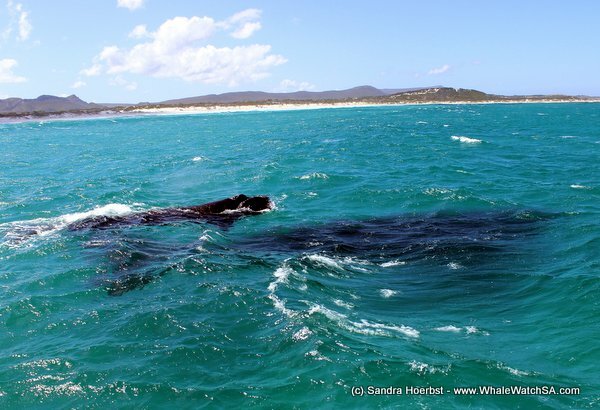 After leaving the harbour we were heading towards Pearly Beach. 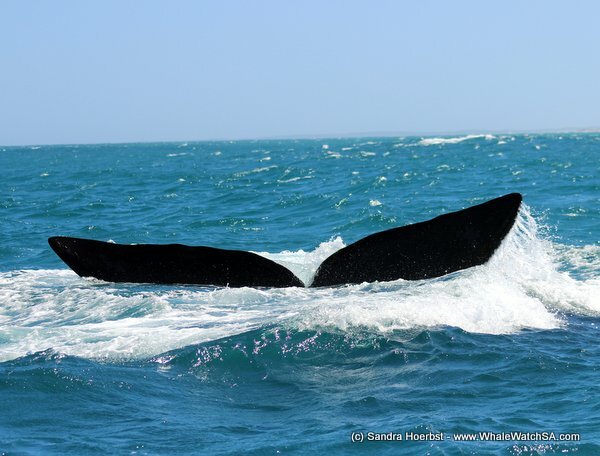 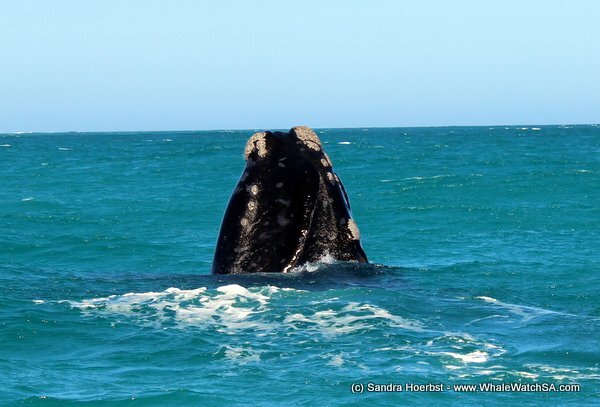 Today we had a few mother and calf pairs around our vessel, the Whale Whisperer. 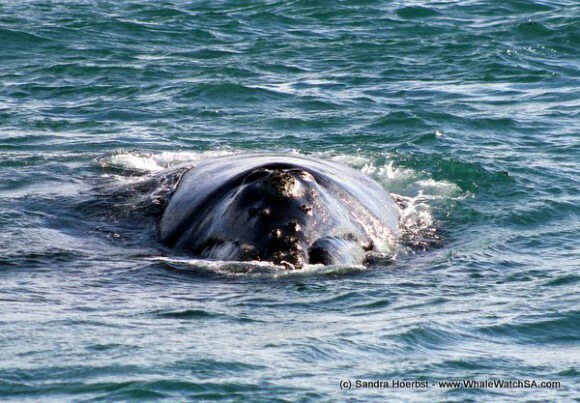 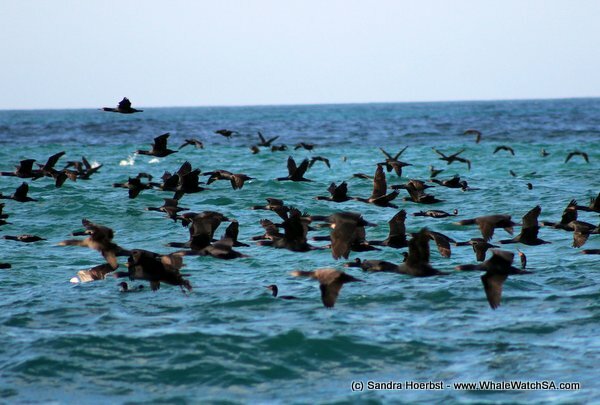 In the morning the Southern Right whales were relaxing and thousand cormorants, crossed our way. 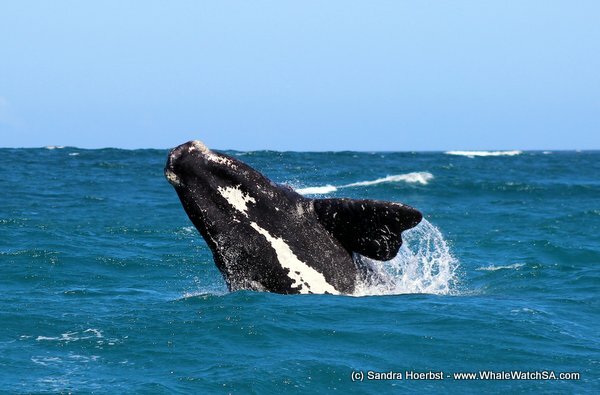 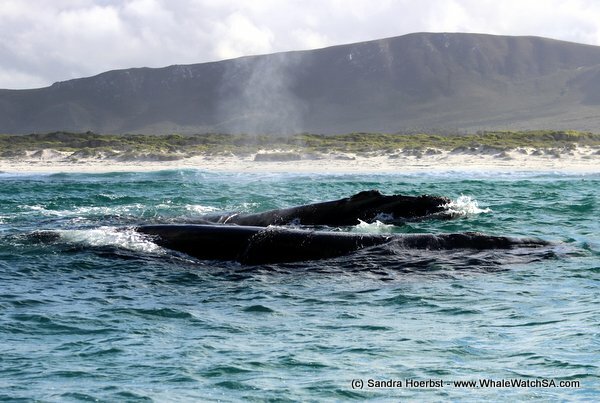 During the day the mother-calf pairs become more active, we had a mother teaching her calf how to breach, how fantastic! 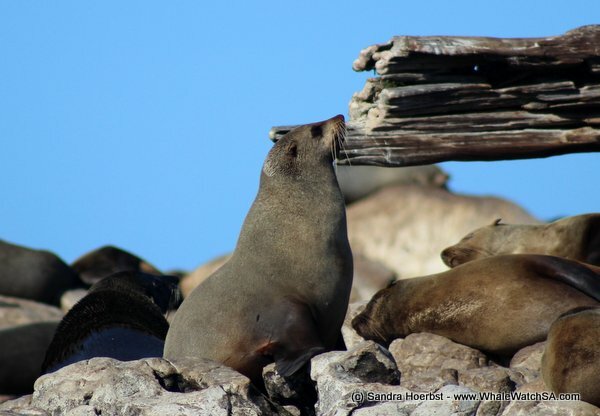 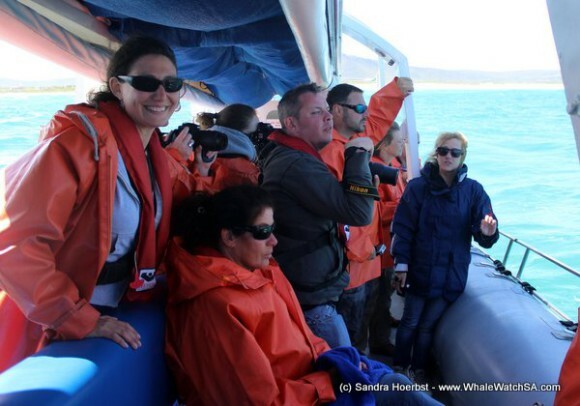 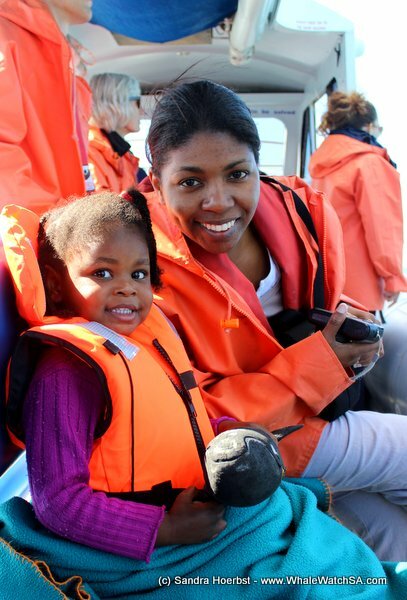 Later on while cruising through Shark Alley we were busy watching all the Cape Fur seals in the water and laying on Geyser Rock. 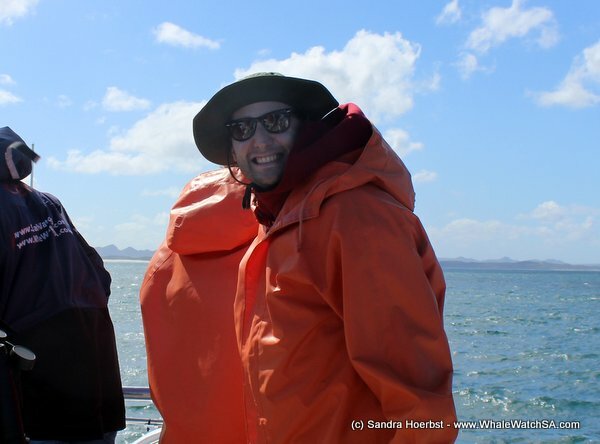 During our trips we also visited our sister company Marine Dynamics, to see the Great White shark. 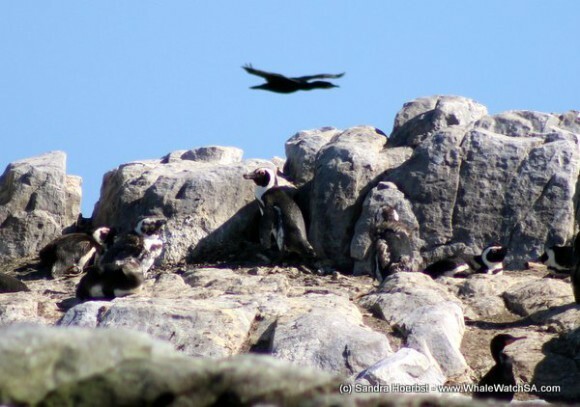 We also spotted the cute African penguins on Dyer Island. What is the mother going to teach her calf tomorrow?